Once the Final Investment Decision (FID) is undertaken, the pipeline detail design, procurement and construction will start and last for about 36 months. 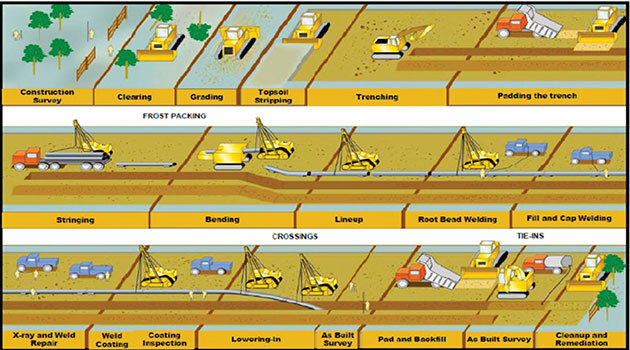 Once ready, the pipeline is carefully placed in the pre-dug trench or, in some cases it will require to be bored under waterways or roads by using horizontal drilling. The crude oil, transported by the pipeline will be stored in the Terminal located on Chongoleani in Tanga bay, before being shipped and sold to other countries. Vessels will be thus loaded with the crude oil at a sheltered deep water site.